Winning 🥇: Looking out the window at the coffee shop and the clerk at the FedEx store next door came out front. 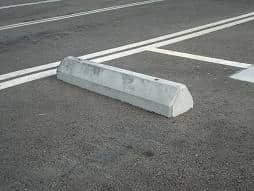 She started doing stair step exercises using the curb and these concrete parking lot stops. Making the most of her day.